Counter & Upstand : White melteca with an anodised aluminium frame. Dimensions : 1070mm high (2060mm high with upstand) x 1150mm wide x 820mm deep. 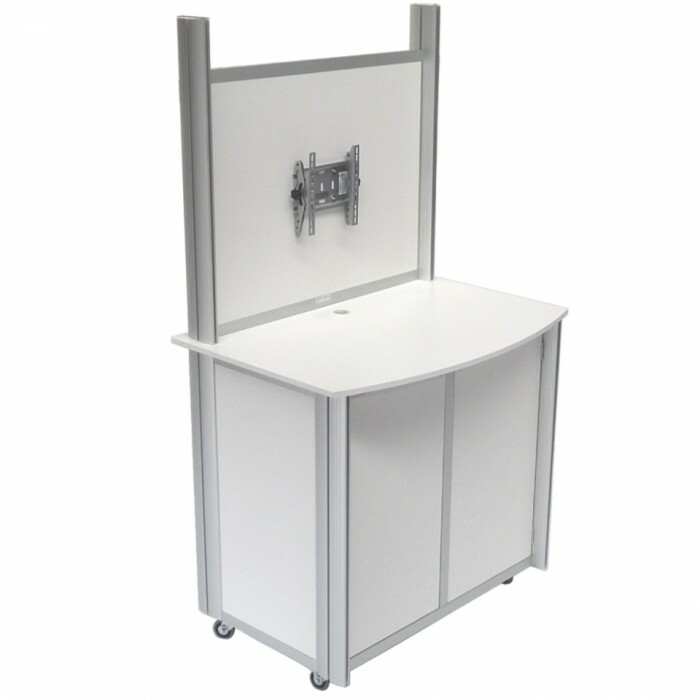 Features : Monitor bracket on upstand, 2 lockable doors, 1 adjustable shelf, castors. Ideal for : Shows, exhibitions, conferences & events.